At the age of sixteen, Flo Wadlow left her family to begin what would become a distinguished life 'in service'. 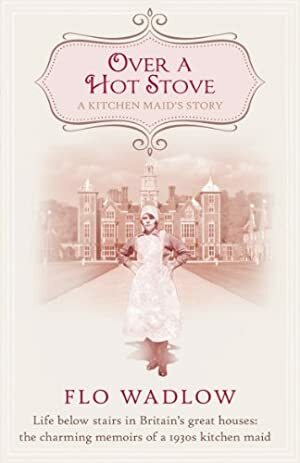 Starting as a kitchen maid in London, she soon rose through the ranks and worked at many of England's great houses including Woodhall in Hilgay where she met scullery maid Mollie Moran, author of Aprons and Silver Spoons; Hatfield House and Blicking Hall. By her early twenties, Flo was in charge of the kitchen and cooked for prime ministers and royalty. Including some of Flo's cherished recipes and photographs from her life, Over a Hot Stove is a must-read for fans of Downton Abbey. We started tracking this book on August 28, 2014. This book was $8.87 when we started tracking it. The price of this book has changed 18 times in the past 1,699 days. The current price of this book is $3.23 last checked one day ago. The lowest price to date was $0.99 last reached on January 31, 2017. The highest price to date was $8.87 last reached on August 28, 2014. This book has been $8.87 one time since we started tracking it. We last verified the price of this book about one day ago. At that time, the price was $3.23. This price is subject to change. The price displayed on the Amazon.com website at the time of purchase is the price you will pay for this book. Please confirm the price before making any purchases.